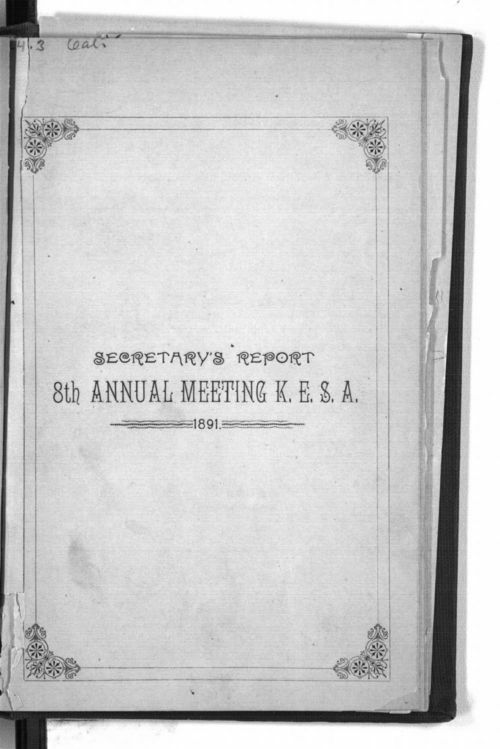 The 8th annual meeting of the Kansas Equal Suffrage Association was held in Topeka, Kansas, November 18-20,1891. The minutes of the various sessions are quite detailed and include excepts from several speeches. Several men addressed the convention and there was some discontent from the women about comments by politicians. Mrs. Laura Johns continued to serve as president. People - Notable Kansans - Johns, Laura M.